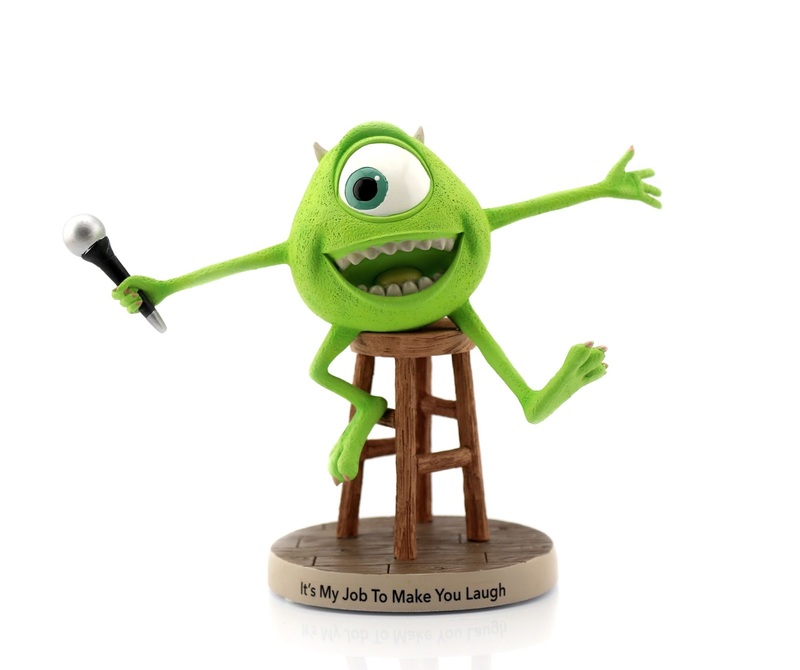 Inspired by the classic epilogue of one of my all time favorite Pixar films, Monsters Inc., here we have this beautifully made Mike Wazowski figurine by Precious Moments (as part of the Disney Showcase Collection)! I don't usually go for the Precious Moments collectibles, but this one really stood out to me when I saw it pop up on ShopDisney.com recently. I was so excited to have gotten this for Christmas and it now displays proudly on my Monsters Inc. shelf! This maquette is meticulously crafted out of a fragile cold-cast resin material, is hand painted and features some outstanding detail (for instance, Mike's overall likeness is one of the best I've ever seen in any product featuring him). His color is vibrant, his paint application is spot on (even down to the subtle dark green spots on his back) and you'll notice he even has a really neat texture. I'm impressed with just about everything with this one. Just take a look for yourself at my loose photos below and keep in mind that he looks even cooler in person! From top to bottom, this figurine stands at about 5 1/2" tall, with his arm span right around 7 1/2" long. On the bottom of the front of the base it reads "It's My Job To Make You Laugh", which I thought was a pretty cute touch. Retail price is $44.95. 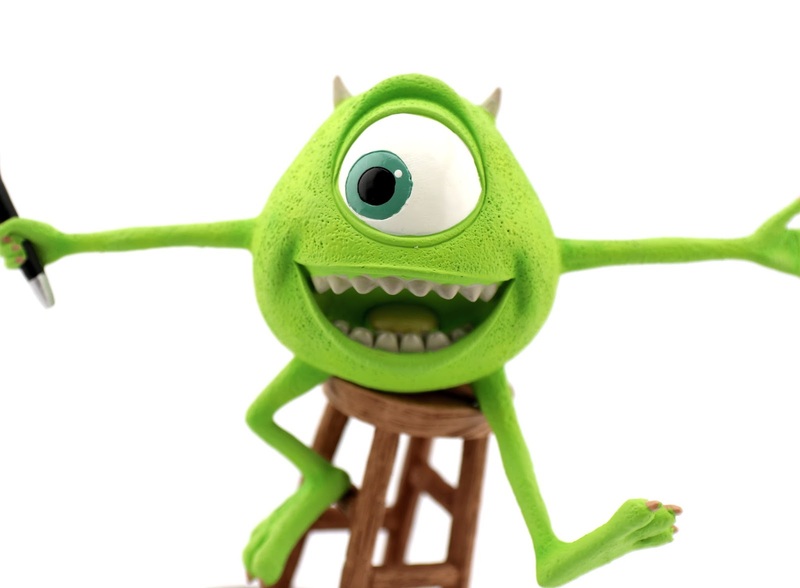 For all you Monsters Inc. fans/collectors out there, if you have the space and you love this character as much as I do, I can't recommend this enough! It's a high quality product that you won't be disappointed in. You can purchase it on the ShopDisney site currently HERE or on the Precious Moments site HERE. Be sure to let me know YOUR thoughts in the comment section below or on any of my social media! 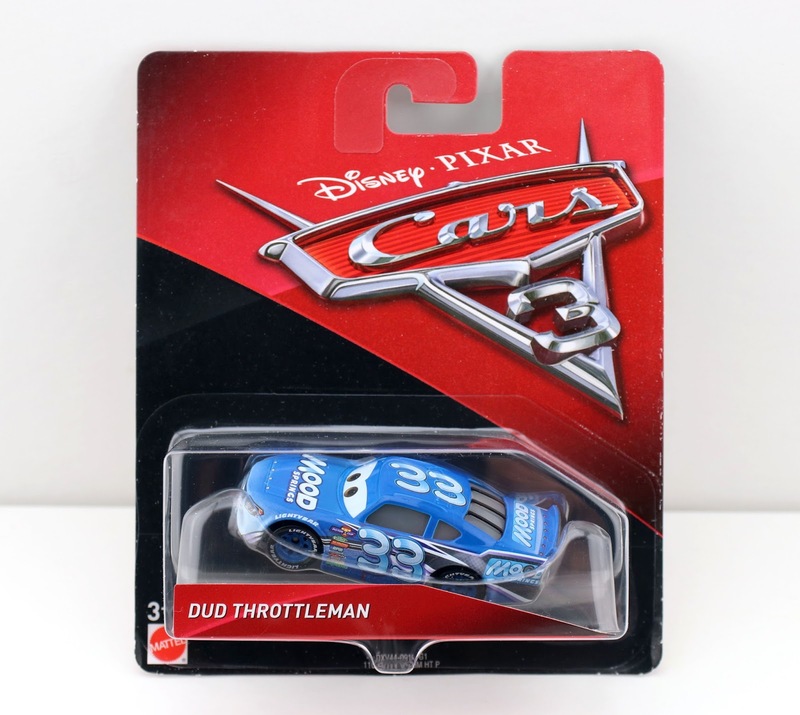 For tonight's post, I'm diving right back into my Cars 3 Mattel 1:55 scale diecast collection to document Dud Throttleman here! Dud, better known by his sponsor Mood Springs, supersedes Chuck Armstrong (who was the racer for this sponsor in the original Cars with the same number, No. 33). 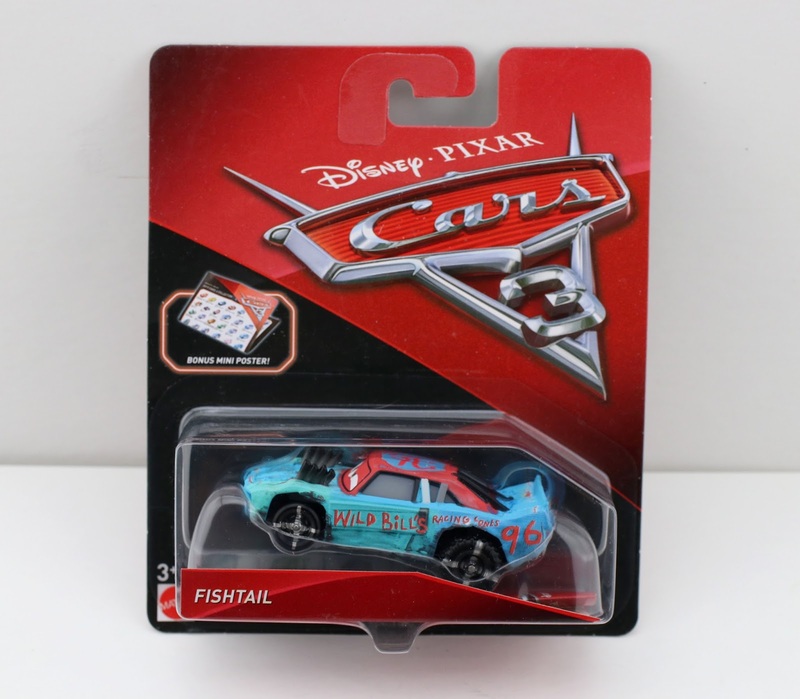 This diecast was released clear back in late May/early June in Mattel's second wave (case B) of Cars 3 singles. This racer can be seen during the film's opening race montage sequence, but is frustratingly hard to spot (like most of them). He literally goes by in a blur (as shown in the screen shot above). 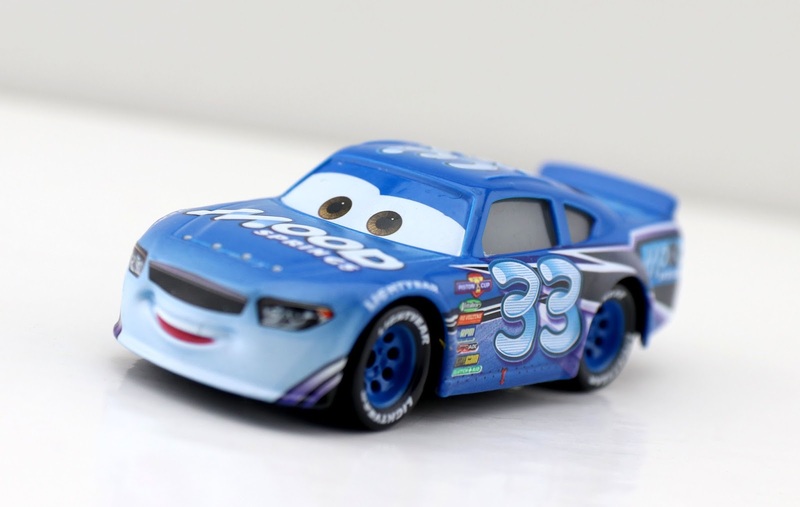 Like all the Piston Cup stock car characters, this is not the most exciting car to review (especially since this one is so similar to the original Cars Mood Springs racer). They round out the collection nicely though and are must haves for Cars diecast completists like me! Despite being released over six months ago, Dud Throttleman is still very easy to find (at least in my area on the east coast). Check your local Target, Toys R Us or Walmart if you're still trying to add this one to your collection! If not, you can always purchase him using the direct link to Amazon below for a great price. Hello everyone! Don't worry—I'm back. Each year around Christmastime I give myself a little week or two break from the blog due to just pure business, but consider that break over. I'm so excited to get back to my daily posts to share with you all the amazing Pixar items I got for Christmas! Thanks for hanging tight and be sure to stay tuned right here for more soon. 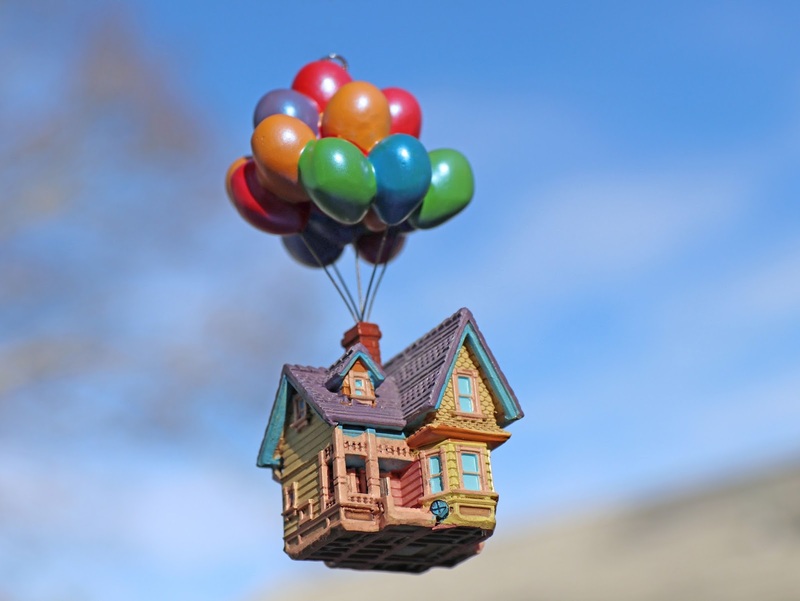 For today's post, I'm taking a look at this stunning Disney·Pixar Up house "Sketchbook Ornament"— which was available exclusively at the Disney Store and ShopDisney.com! This was originally released in 2016, but I ended up opting out of getting it last year (I don't know why) and instantly regretted it when it sold out. I was so thrilled when it was re-released this year, now sporting the 2017 date! This time I didn't hesitate (and picked it up for a great deal I might add, when it was on sale for only $6). 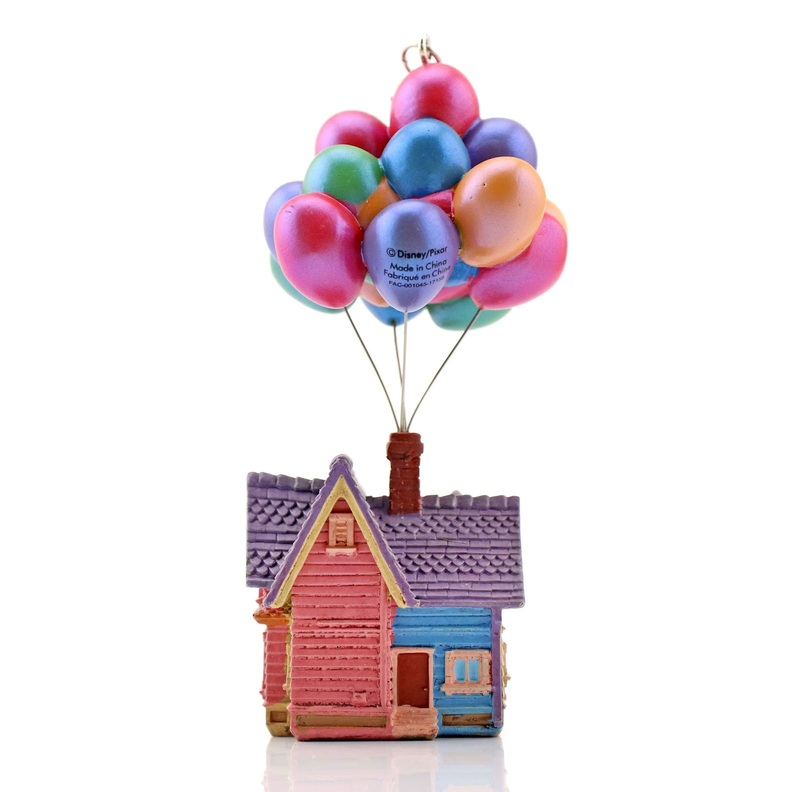 This ornament measures just over 4" tall and originally retailed for $16.95. It's small yes, but look at all that incredible detail packed in! This thing is 100% fantastic and a serious must have for any fan of the film. 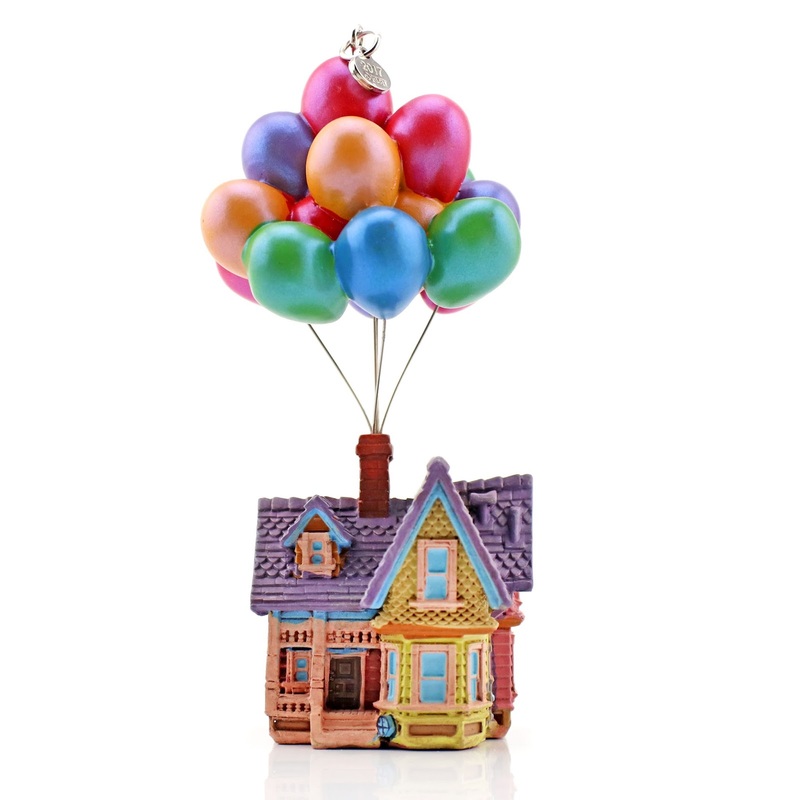 I actually got it, not to hang on our Christmas tree, but to display on my Up themed shelf in my Pixar home office. It works perfectly as a display piece and adds that perfect pop of color and whimsy I was looking for! 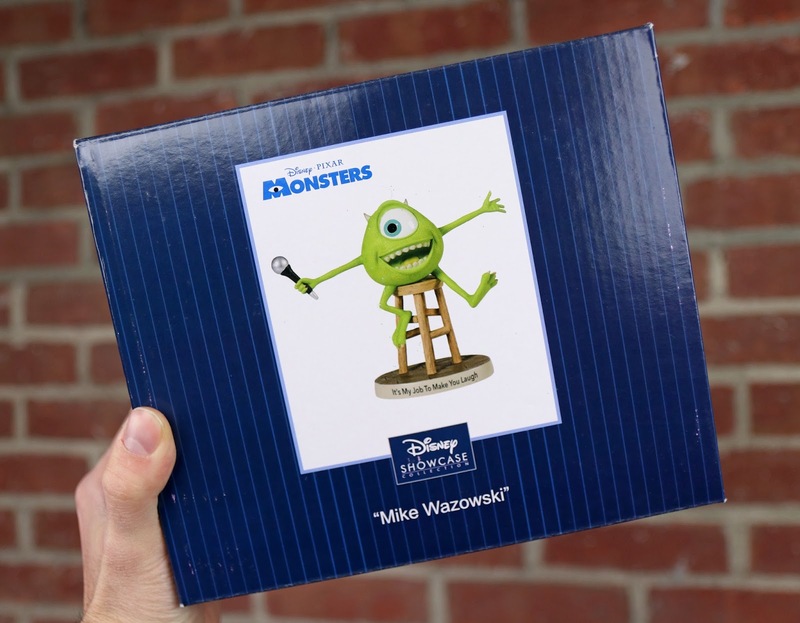 This is [unfortunately] already sold out on the ShopDisney site, but you can always check your local Disney Store for availability (it's most likely sold out there too since it went on sale, but it doesn't hurt to call or stop in). Who knows? It might come back again next holiday season, just like it was re-released this year. Other than that, you can always check current eBay listings HERE (there are plenty available as of now) or Amazon using the provided link. 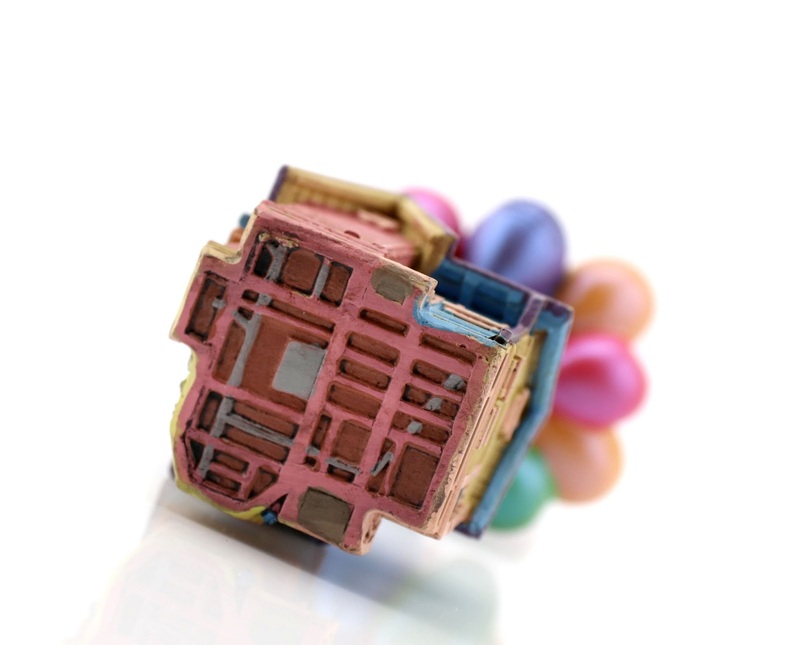 What do you think of this beautiful ornament? Did you pick it up as well? Let me know in the comments below! 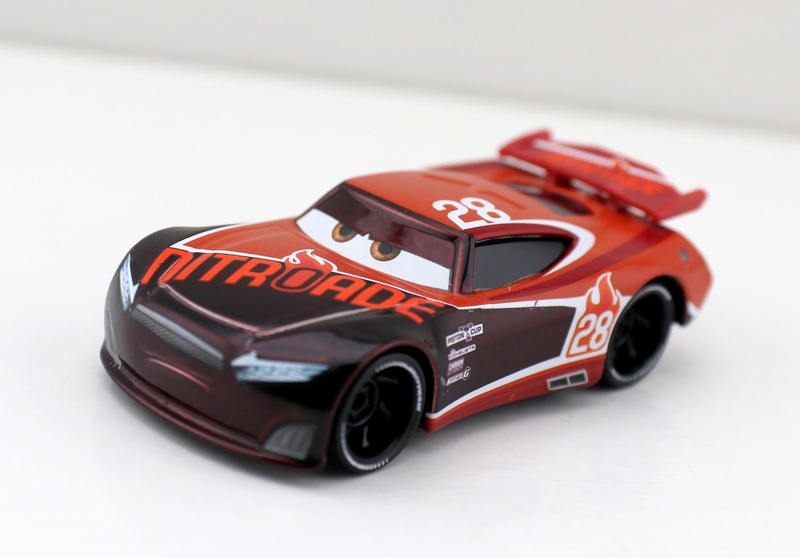 Tonight I'm getting right back to my Cars 3 collection and documenting my Mattel 1:55 scale diecast of Tim Treadless (Next Gen Racer No. 28; better known by his sponsor Nitroade). 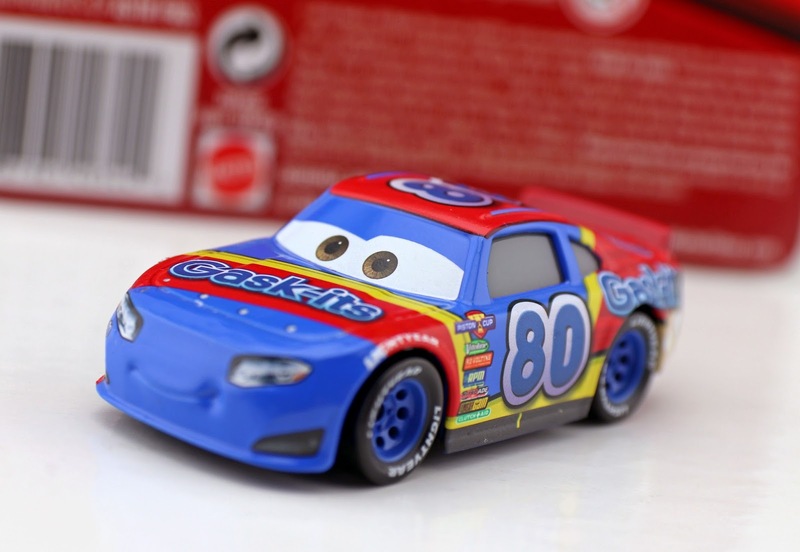 This character was released clear back on May 1st and was part of the initial launch of the Mattel Cars 3 toys. As shown in the screenshot above, Tim can be seen during the big Florida 500 race towards the end of the film (also towards the start of the film during McQueen's crash scene). 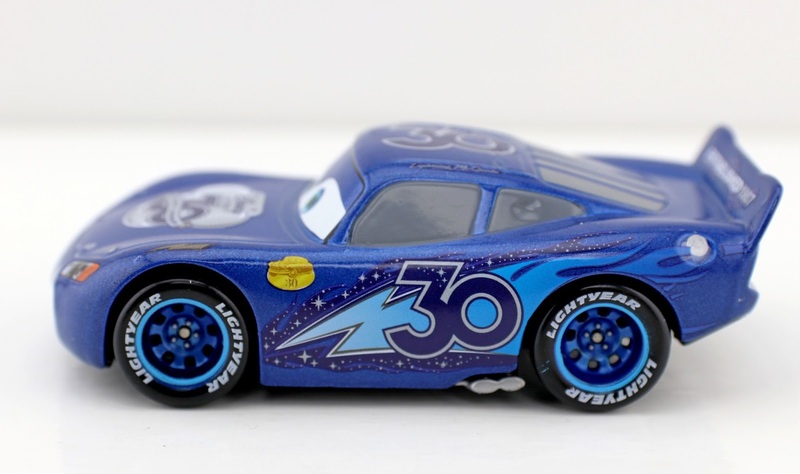 He's the next generation racer who replaces Phil Tankson (who also has a diecast coming out soon, if not already). This is such a cool looking car! I love the sleek shape/design of the next gens in general, but this one is especially fantastic mostly because of the color scheme—burnt orange (one of my favorite colors) and dark metallic brown with some pops of white. Totally great. 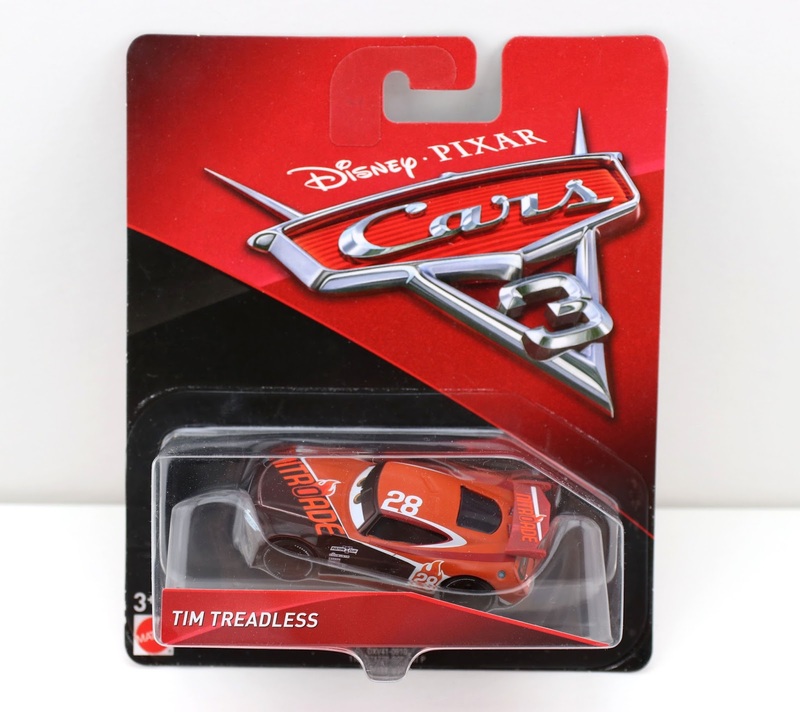 If you're still looking to add Tim Treadless to your Cars collection, you're in luck. He should still be pretty easy to find at either Walmart, Target or Toys R Us stores (at least in my area, he's everywhere). If for some reason you can't find him in stores at this point, you can always pick him up on eBay HERE or Amazon using the link below. Good luck on the hunt! Let me know if you have any questions or comments. 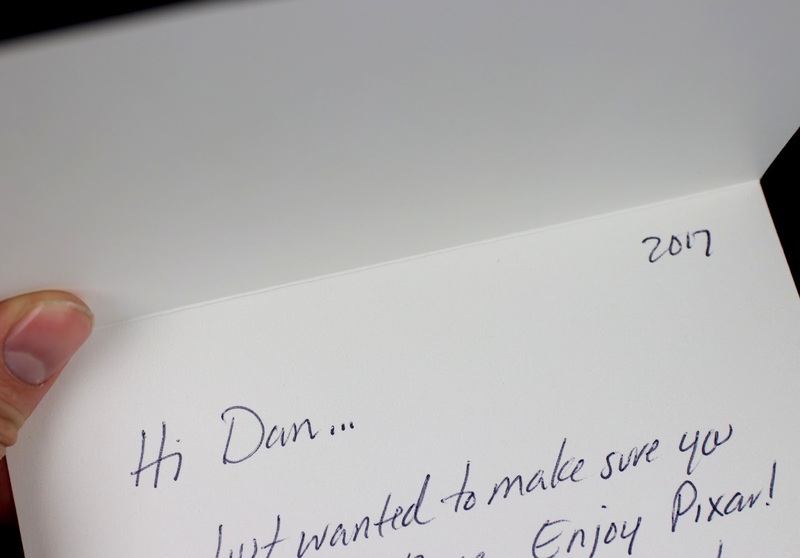 One of the many fun perks of being a Disney Store Cast Member is that every year around the holidays, we're each gifted an exclusive "Reward & Recognition" item (complete with a letter of gratitude for the work we do). 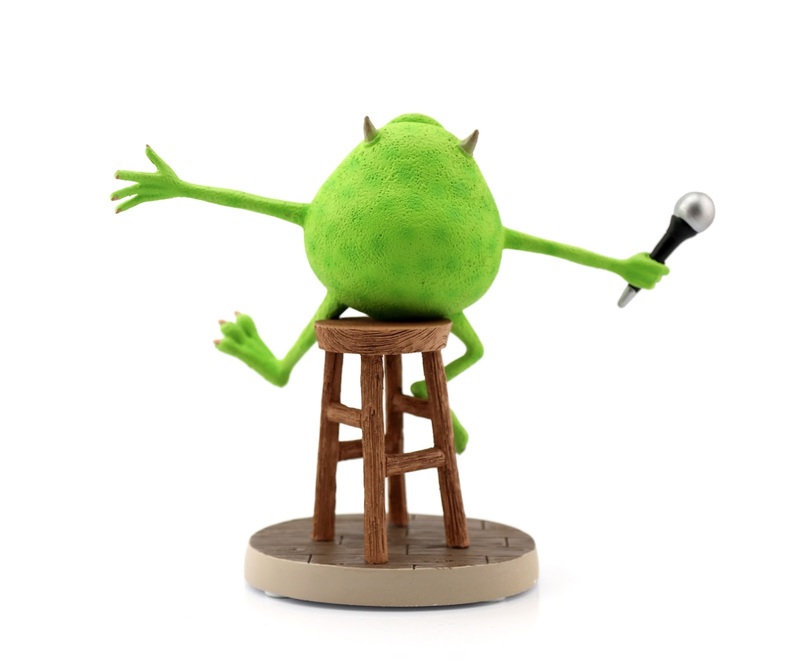 This year it happens to be Pixar related, so of course I was particularly thrilled when I saw it revealed at our annual holiday meeting last month. 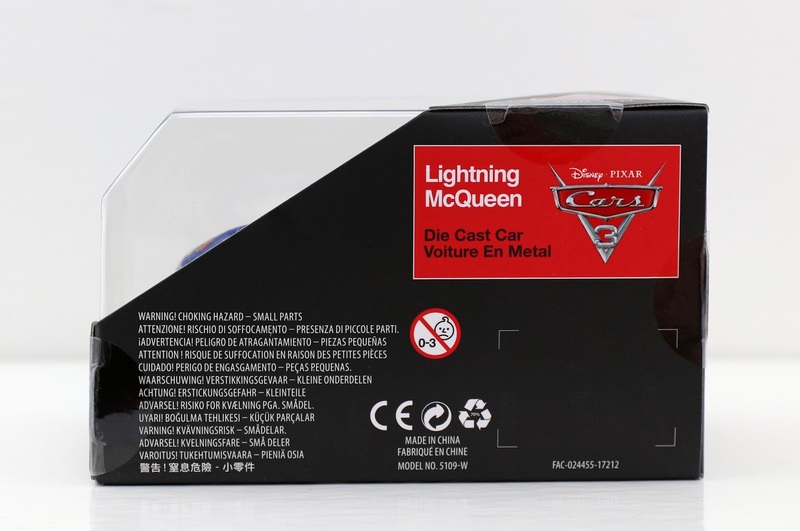 Here we have Lightning McQueen as a 1:43 scale diecast (Disney Store standard size). 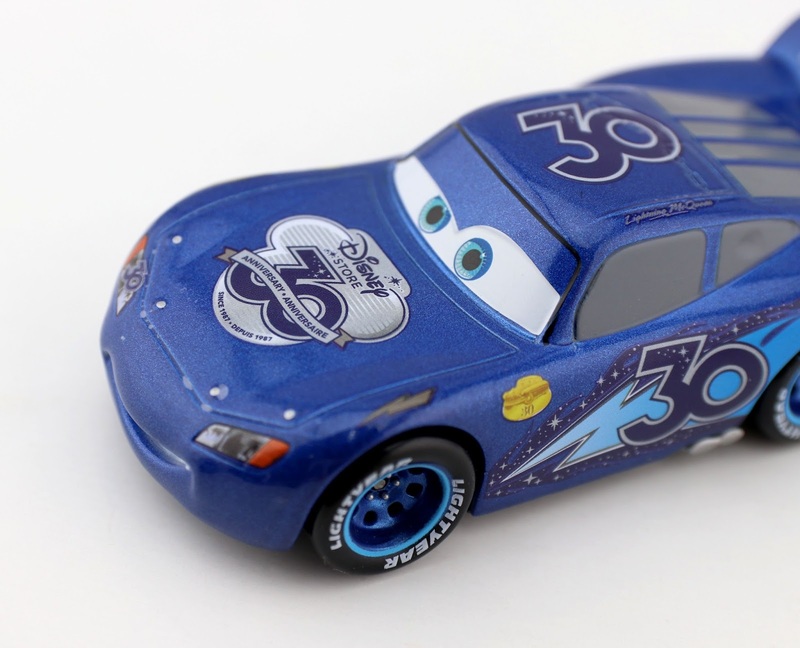 This, however, isn't your normal blue Rust-Eze "For Doc Hudson" McQueen as seen at the end of Cars 3 or even your average blue Dinoco McQueen. Nope, look closer. 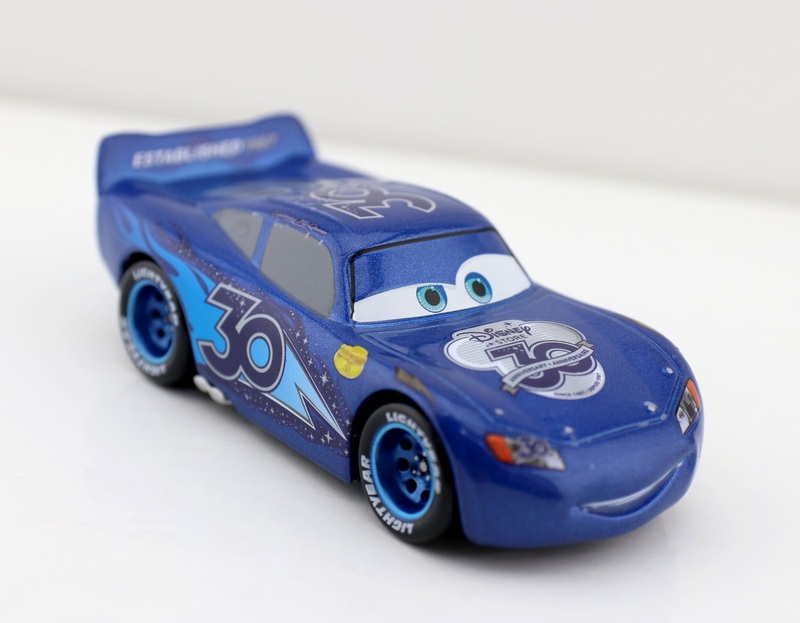 This blue McQueen has an entirely new and original paint job/design commemorating the Disney Store's 30th anniversary, which has been celebrated all year long! The very first Disney Store opened its doors in Southern California’s Glendale Galleria on March 28th, 1987. These days, there are close to 400 stores operating worldwide—with more to come I'm sure! 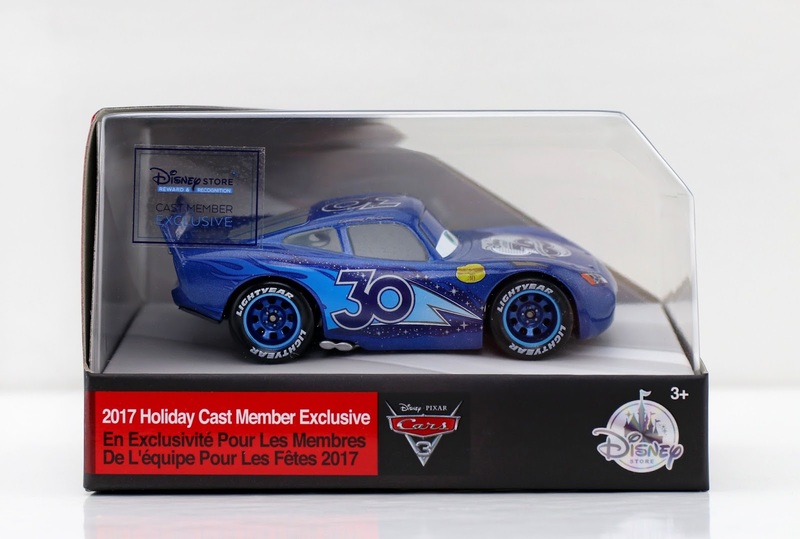 What an amazing and unique mashup as this toy honors two of my favorite things: The Disney Store and Pixar Cars! Here's a closer look at the "Disney Store Cast Member Exclusive Reward & Recognition" sticker and the rest of its packaging. And yes, maybe I shouldn't have taken it out of the box considering how rare this thing actually is (feeling some regret), but I couldn't help it! I wanted to get some detailed loose pics. I love all the details and magical Disney Store touches (like the stars). And it only makes sense to make his racing number 30 in this instance! 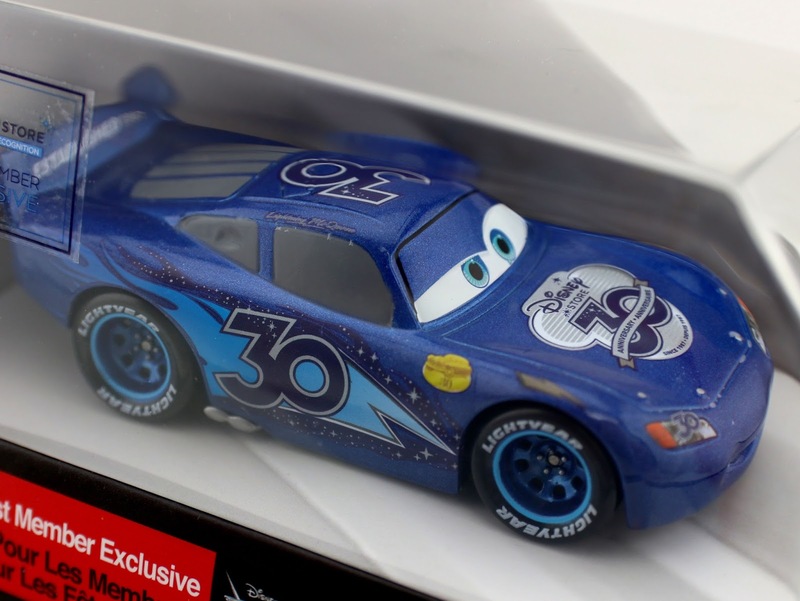 Even McQueen's blue color scheme is in reference to the original Cast Member costumes, which were, you guessed it, blue. 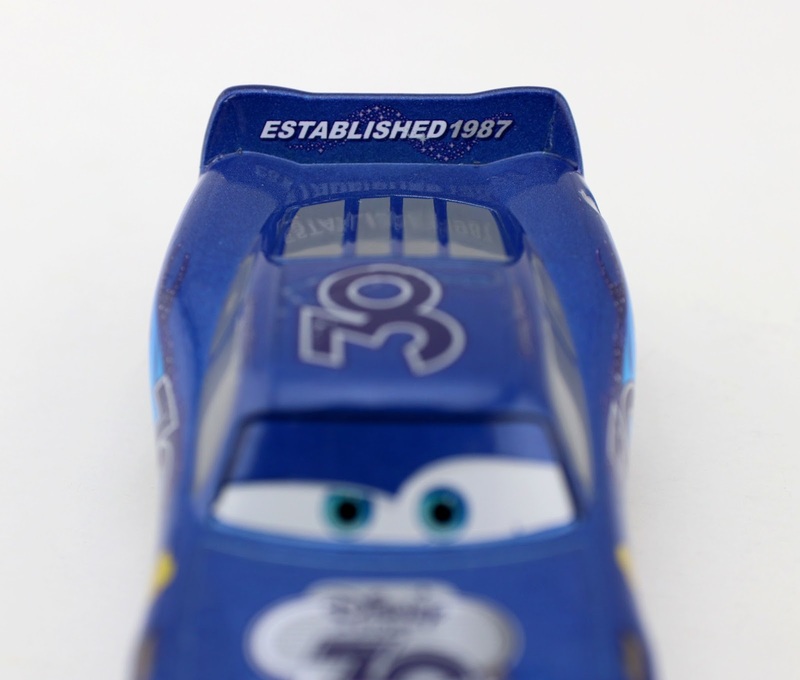 If you look closely, you can also see Doc Hudson on that little gold graphic on either side. So cool right? As a collector, I love when items are more on the exclusive/limited side, so this is right up my alley. Super special! I feel lucky to have it and even more lucky to be part of the Disney family. What to you think? Is this something you'd consider pretty neat? Let me know your thoughts in the comment section below! Hey everyone! I'm back. The last couple days were just nonstop and I regrettably found no time to get my posts in. Even this one was a stretch, but I did it. Thanks for hanging tight again! 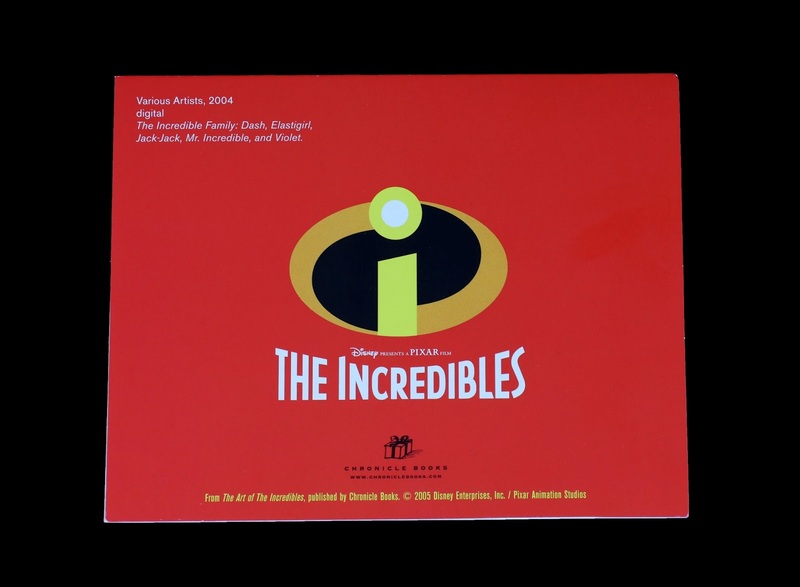 Tonight I'm taking a real brief look at this The Incredibles card, yet another item found only at the Pixar Studio Store in Emeryville, CA! If you've been following my posts lately, you'll probably guess that this was sent to me by my friend [Disney freelance Artist] Jerrod Maruyama—and you'd be right! A big thanks to him once again. And please, be sure to follow Jerrod on Facebook, Instagram, Tumblr, Flickr, Dribbble and Twitter. He's the man! 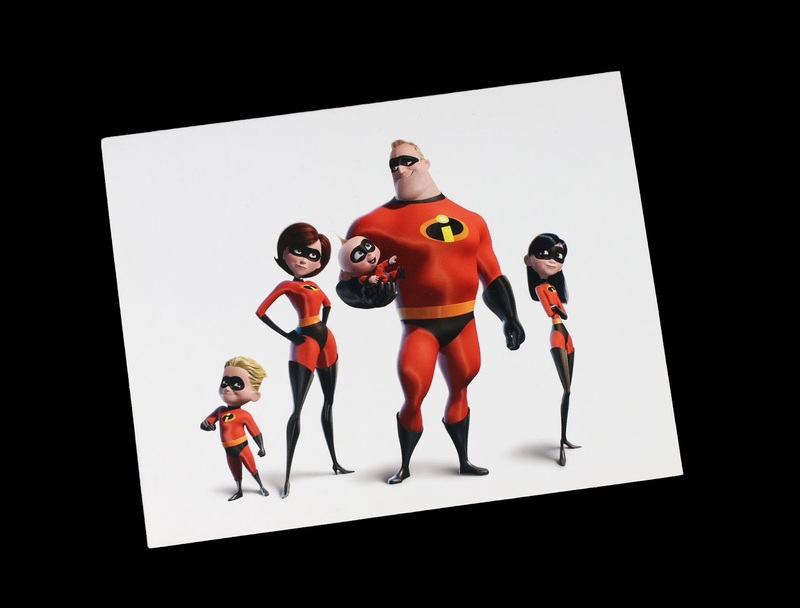 This is a very straightforward and simple card featuring the Parr family all suited up (fully rendered CG) on the front and the iconic logo on the back (the inside is blank). 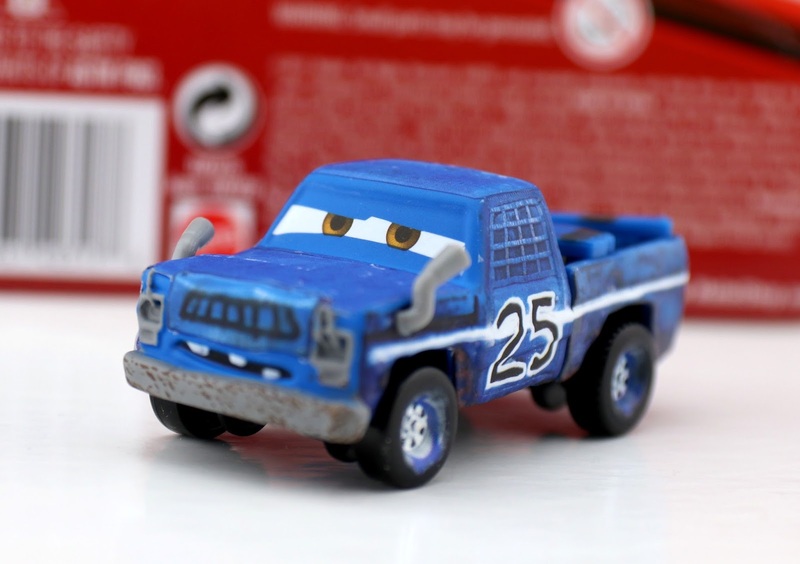 The fact that this is a Pixar exclusive makes it that much that much more"super" though! I have quite the Pixar card/postcard collection at this point. Just seeing this card reminds me of how excited I am for Incredibles 2...I can't wait! What are you thoughts? Have you been to the Pixar Studio Store/what was your experience? Let me know in the comments below. 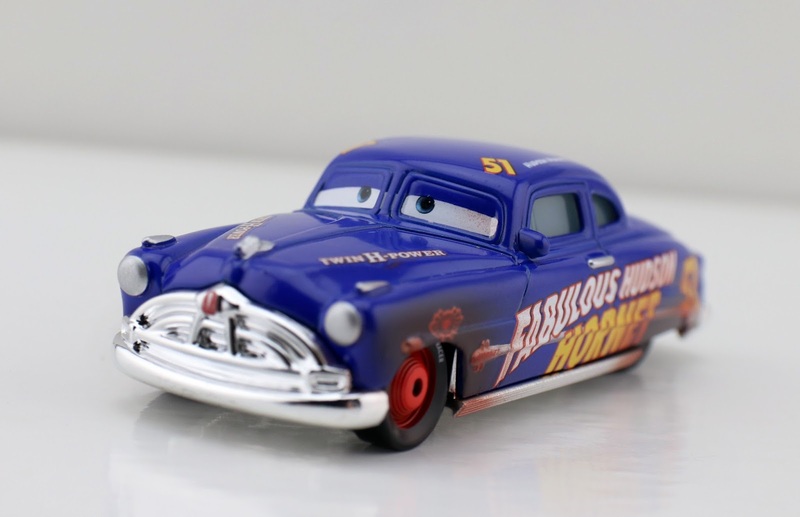 Today I'm taking a look at one of the more recent Cars 3 Mattel 1:55 scale diecast 2-pack releases, this time around featuring "Heyday Smokey" and Dirt Track Fabulous Hudson Hornet! 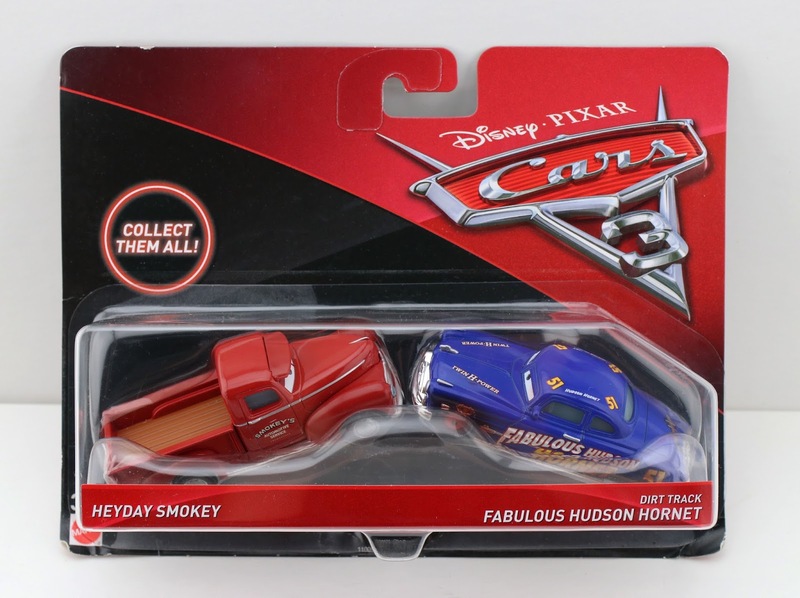 Though the Dirt Track Hudson Hornet was also available in a Cars 3 single pack (seen HERE), I didn't purchase that one in favor of getting this 2-pack with the exclusive (or "first look") Heyday Smokey (who has not been released in any other way yet). 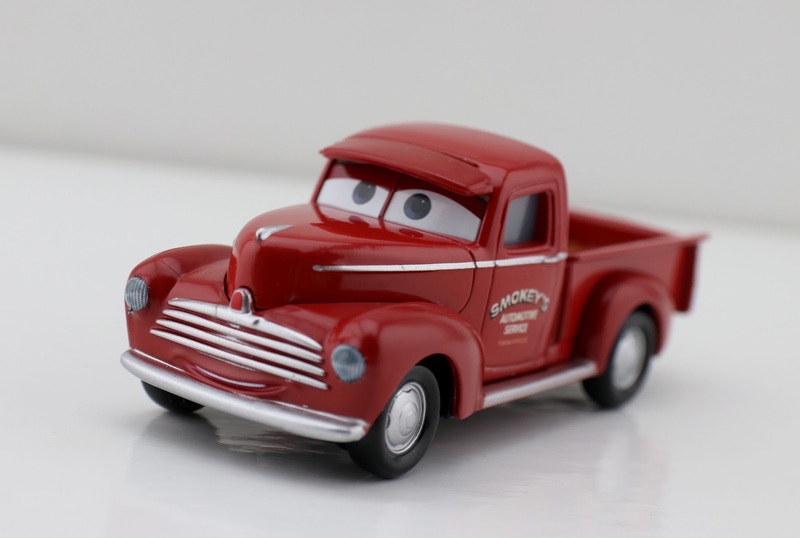 As shown in the screen shot above, Hudson Hornet and his crew chief Smokey were seen this way (in their prime, or "heyday") during a flashback sequence towards the end of the film's second act. Smokey and all the Thomasville "legends" gather with Cruz and Lightning at the Cotton Pin Bar & Grill for drinks, while also sharing some stories about the glory days. You can also spot Hud and Smokey looking like this in the old Fireball Beach footage that Lightning watches near the beginning of the film. Both vehicles look great. I especially loved seeing young Smokey briefly in the film, so I'm glad he's now represented in a diecast. 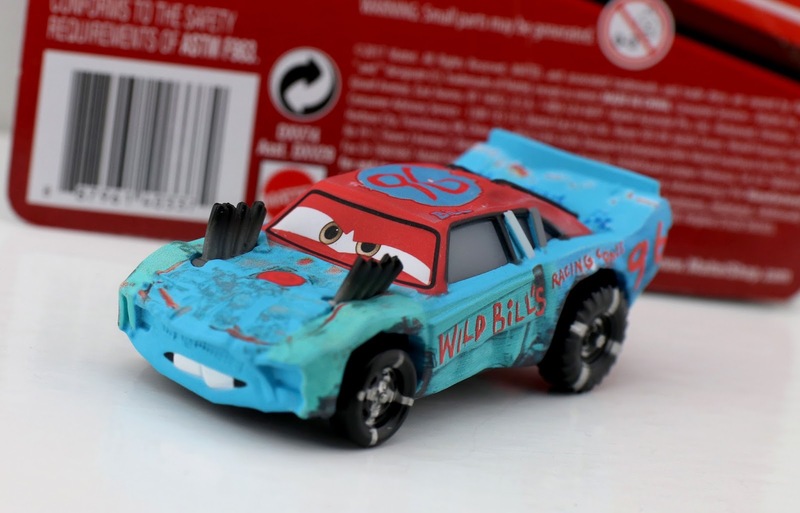 As for Hudson Hornet, he has some great added dirt details and looks very well made as well. 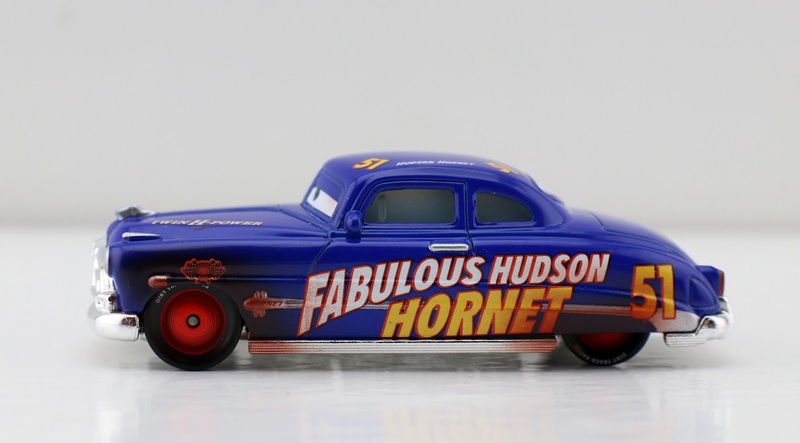 Note: Another version of Dirt Track Fabulous Hudson Hornet was released last year in Mattel's Precision Series line, which I reviewed HERE. This 2-pack was released clear back in September, but to this day I have yet to spot it in normal stores. My area has rarely gotten anything new since May, which has been super frustrating. The good news is I was able to find this pack at the Pixar Studio Store (of all places) while I was there visiting Pixar last month! Be sure to check your local stores for availability (Walmart, Toys R Us and Target are your best bets). I hope you have better luck than me, but if not, you can always resort to eBay (direct link to current listings HERE ) or Amazon using the link below. What are your thoughts? If you've been following along, you know I love the Cars 3 demolition derby characters. I've taken a look at a bunch so far and still have many more to go (which I'm ok with since they're all so fun and unique)! For today's post, I'm focusing in on Fishtail No. 96—one of the 25 "Crazy 8" race contenders seen in the film (shown in the screen shot above). As usual, this is a 1:55 scale diecast from Mattel. Kudos once again to Mattel for such great detailing. Just look at all those dents and dings, not to mention the fantastic paint application. And of course they didn't forget the "Wild Bills Racing Cones" detail on his side. I guess you could say that's his sponsor? I found this one at Target a couple months back and never found him again. If you're still looking for Fishtail for your collection, be sure to also check your local Walmart and Toys R Us stores for availability as well. If you'd rather just find him online, you can check eBay RIGHT HERE or Amazon using the direct link below. Happy Sunday! 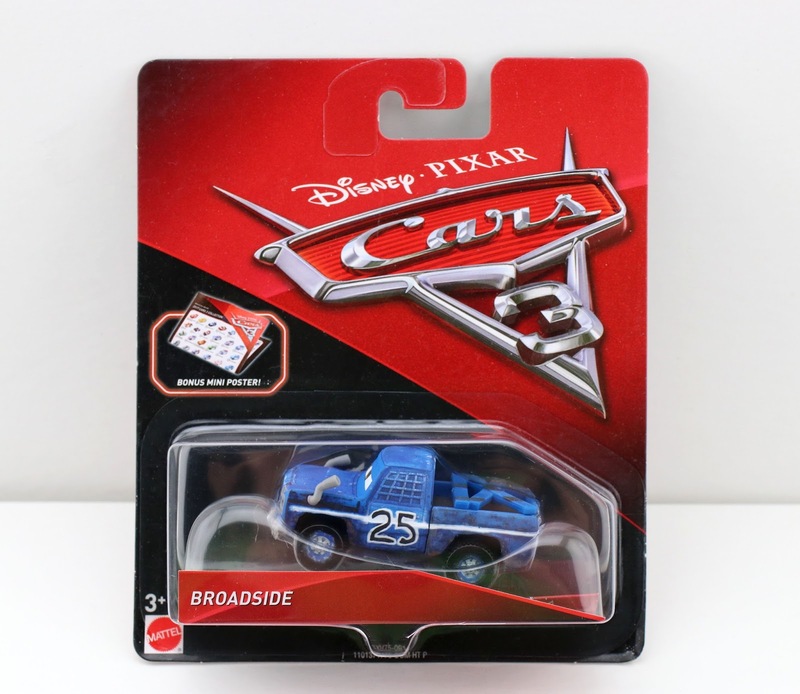 Tonight I'm taking a brief look at yet another Mattel Cars 3 1:55 scale diecast...this time around it's Broadside (No. 25)—one of the many Crazy 8 Demolition Derby contenders seen in the Thunder Hollow sequence of the film! Broadside is very difficult to spot in the scene, but he is there. After much searching, I finally found a quick couple frames with him in the background and snapped the screenshot above. He was by far the hardest character for me to find so far (in regards to all the Crazy 8 contenders), as most of them are prominently (if briefly) featured at some point or another. As usual, this diecast looks fantastic with some wonderful details, some great "wear and tear" and a nice looking matte paint finish. On the back of his truck bed (I failed to snag a photo of it), it says "Flip me Over." I was lucky enough to find Broadside at Target a couple months back. Be sure to visit you local stores if you're looking to track him down for your collection as well! If you'd rather just pick him up online, check out THIS DIRECT LINK to current eBay listings or Amazon using the link below. Like I always say, happy hunting! 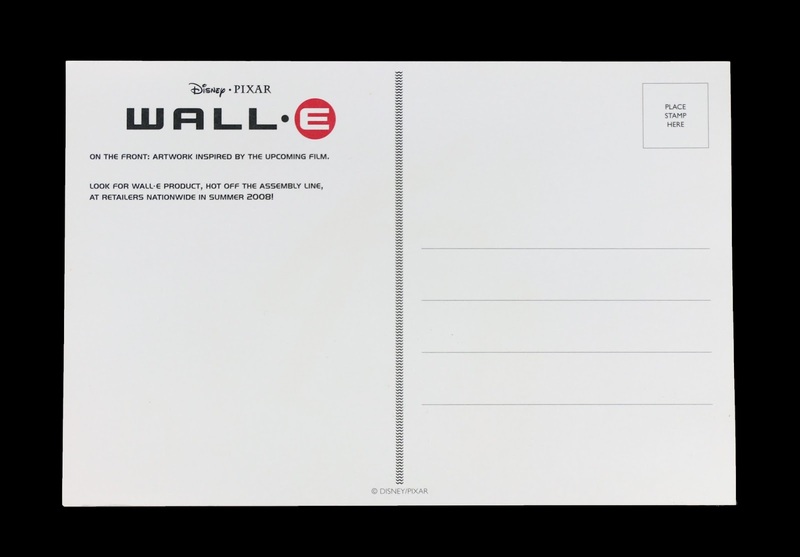 Here's a really neat and very unique postcard inspired by Wall·E, which was available only at the Pixar Studios Store in Emeryville, CA! I absolutely love the design that artist Eric Tan came up with here, which definitely gives me retro 60's sci-fi vibes (thinking The Jetsons). It's a really fun minimal style. 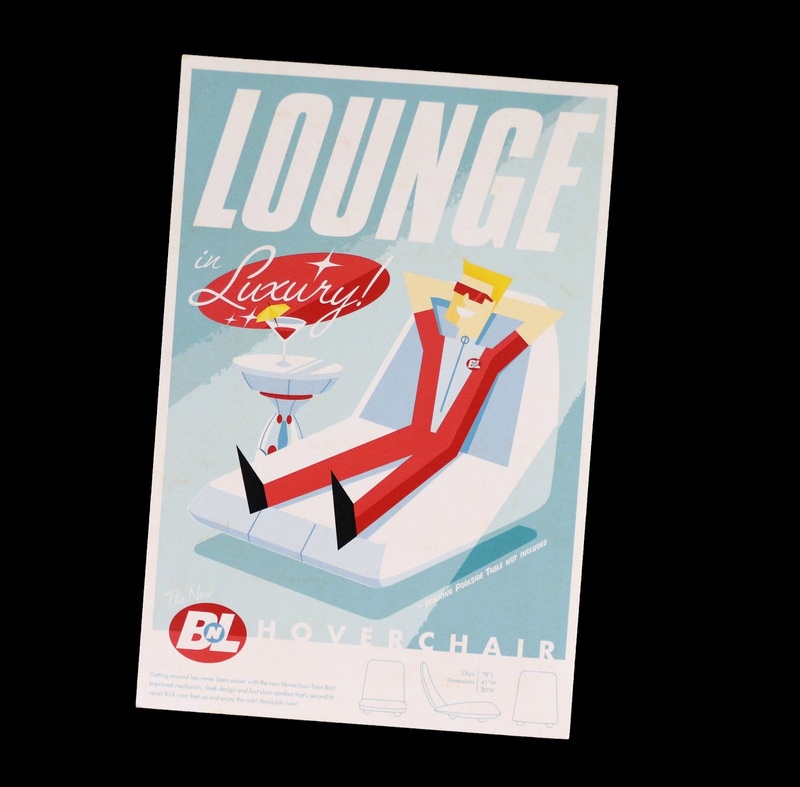 This is of course an advert type poster graphic advertising "The New BnL Hoverchair", as if this was a real product in the world of Wall·E. If I were really there on the Axiom, I could picture seeing this on a giant billboard or while flipping through some magazine. On the top it says "Lounge in Luxury" and at the bottom it gives a description of the chair and even the chair's dimensions. Another subtle detail is the asterisk noting that the "Walking poolside table" is not included. It's all very clever. The description of the chair reads: Getting around has never been easier with new Hoverchair from BnL! Improved mechanics, sleek design, and first-class comfort that's second to none! Kick your feet up and enjoy the ride! Available now! Are those Wall·E tread marks down the middle of the back of the postcard? Nicely done! 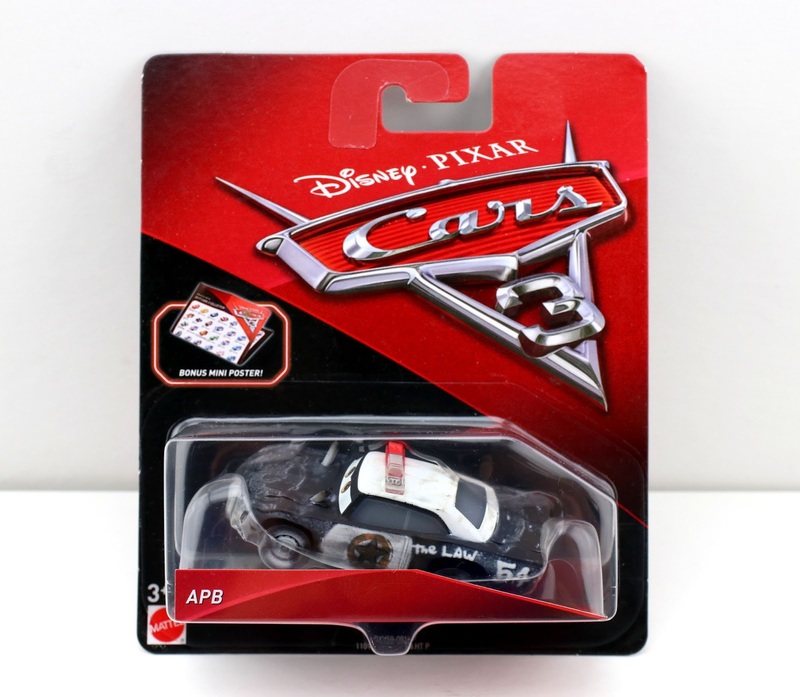 Also there on the back it says that the artwork is inspired by "the upcoming film" and to "look for Wall·E product at retailers nationwide in summer 2008." This leads me to believe that this is an older postcard dating all the way back to 2007 or 2008. And that reminds me—can you believe that we're just a few months away from the film's 10th anniversary? That's unreal guys. Wall·E is almost a decade old. UPDATE: I did find out that this postcard was in fact from 2007 and was given out to guests attending the 2007 San Diego Comic Con as well (see some more Pixar designs by Eric Tan from that era HERE) . Another BIG thanks to my friend [Disney freelance Artist] Jerrod Maruyama, who surprised me with this in a care package a couple months back. This is so unique and something I had never even seen before! And the fact that this doesn't seem to be sold anywhere anymore makes this a pretty rare piece as well. What a gem. Le me know your thoughts in the comments below! 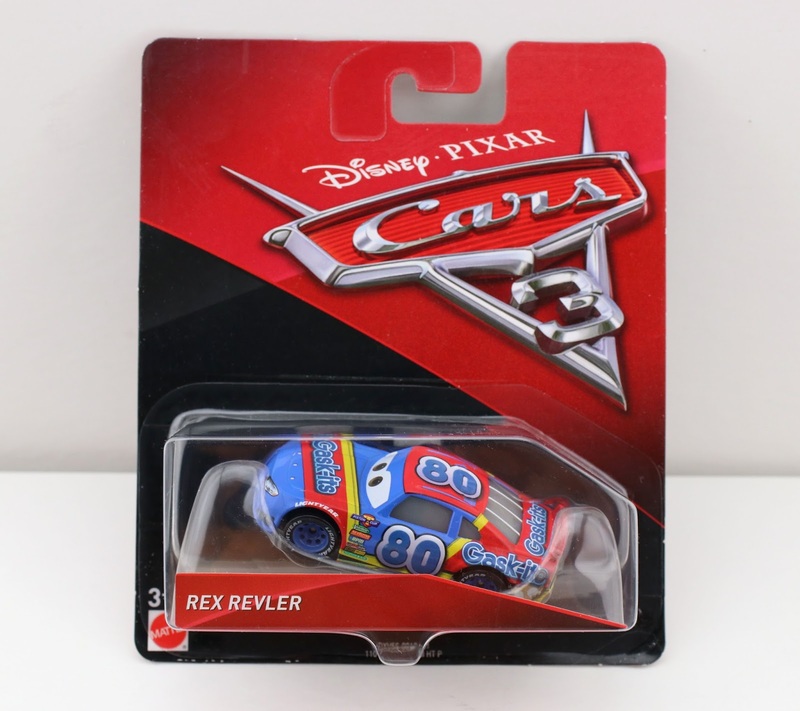 Tonight was another long day and once again it's getting late over here, so I'm going to be posting on another simple Mattel Cars 3 1:55 scale diecast release...Rex Revler! Or better known by his sponsor, Gask-its (No. 80). I know, not too exciting—but hey, every car needs to be documented! Revler here is a Piston Cup racer and the successor of Sage VanDerSpin, who was the Gask-its sponsored racer in the first Cars film (and yes, they look almost completely identical). Overall though, this is another solid, well done diecast and a welcome addition to my racer collection. Usually I try and include a screen shot of where the different characters are in the films, but this one I could not find! I poured over the HD Cars 3 Blu-Ray footage on my computer for quite some time (all the opening racing scenes), even pausing it a bunch, and could not spot him (not even as just a blur). All the racers zoom past the camera so fast, but I know he's there somewhere. If anyone else happens to see him, be sure to screenshot his appearance for me and send it over! Are you up to the challenge? Despite being released over six months ago, Rex Revler is still pretty easy to find (at least in my area on the east coast). Check your local Target, Toys R Us or Walmart if you're still trying to add this one to your collection! If not, you can always purchase him using the direct link to Amazon below for a great price. Protect and swerve! 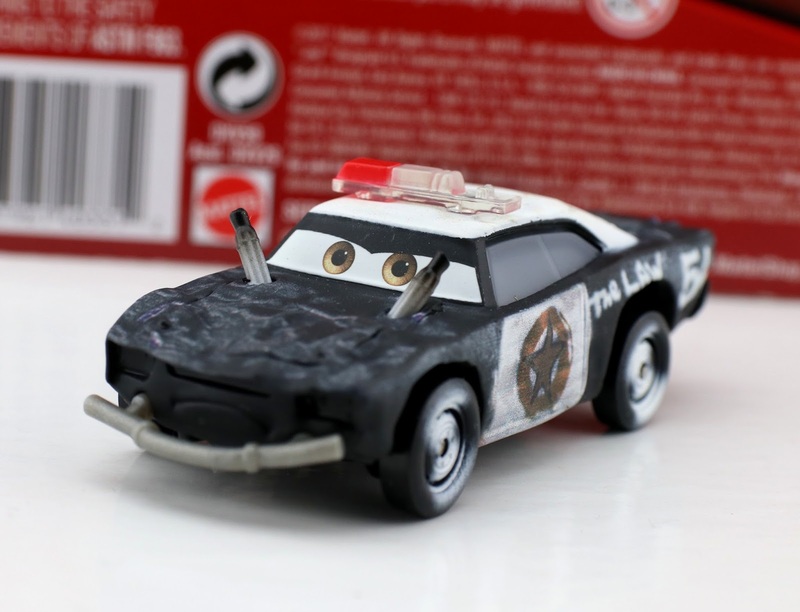 Today I'm taking a quick look at the Cars 3 Mattel 1:55 scale diecast of APB—one of the many Crazy 8 demolition derby contenders seen in the film! I was able to find this one a little while back at Target (probably one of the last times I was able to find anything new in my area). 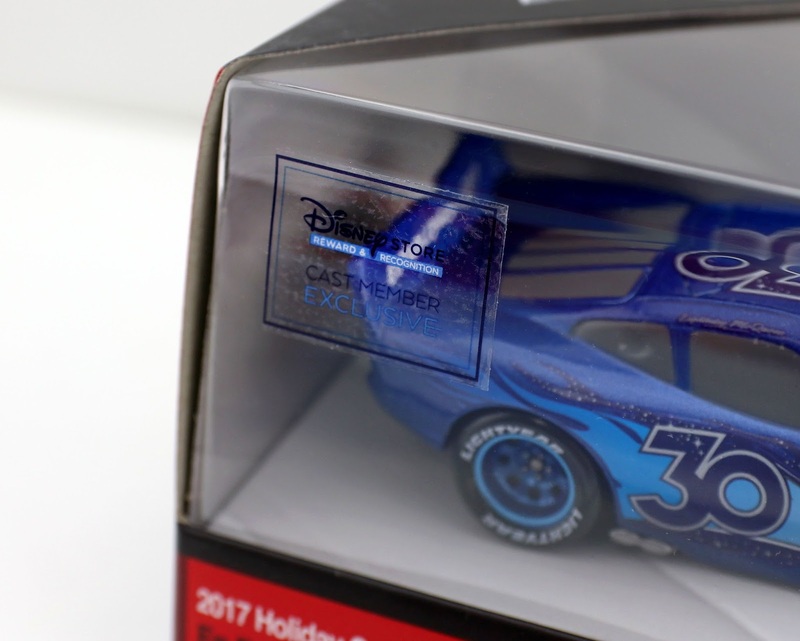 APB was one of the first diecasts to include the bonus 2017 mini poster/checklist. As usual, this is a phenomenal diecast with a great attention to detail. She's got all the dents and scuffs you'd expect from a Crazy 8 vehicle—not to mention the realistic "spray paint" as well. 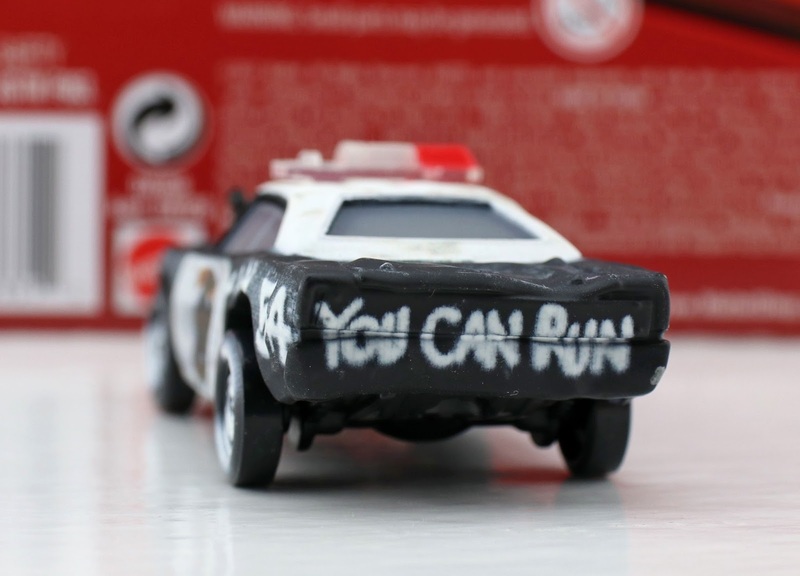 Her racing number is 54, "The law" is painted on the sides and "You Can Run" is on the back (a detail I don't even think you can see in the film). Such great touches! You know the demolition cars are some of my favorites due to their utter uniqueness and wild designs. Check out in my loose pics below to soak in all those details. I also really like the matte paint finish. Visit your local Target, Walmart or Toys R Us to see if you can find this one around! You just might have luck if you're still trying to add APB to your Cars collection. If not, you can always grab her on eBay HERE or Amazon using the direct link below. Note: APB is also available in a Walmart exclusive "Thunder Hollow 5-Pack" set (seen HERE). 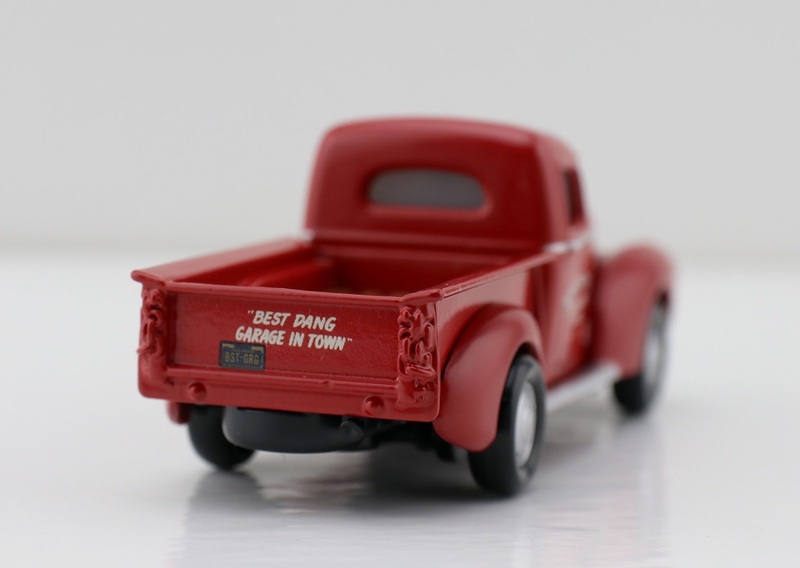 Let me know your thoughts in the comments and happy hunting to all my fellow Cars collectors!